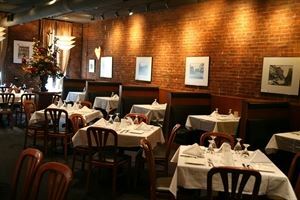 1515 Restaurant is an independent, fine dining establishment located in LoDo Downtown Denver. 1515 offers a relaxing environment to enjoy some of the Denver’s most distinctive flavors. Using modern cooking techniques, such as sous vide and molecular gastronomy, 1515 offers an unforgettable fine dining experience. Our seasonal menus provide new tastes to tempt your palate, and our sommelier will help you help pair the perfect wine selections from our expansive wine list with your meal. A multi-course tasting menu designed for you to experience the essence of Chef Joseph Arena's Cuisine • Six Courses - starting at $65 per person With Wine Pairing - $110 per person • Eight Courses - starting at $85 per person With Wine Pairing - $140 per person Please contact us about holiday party rentals and menu catering options. Two banquet rooms can entertain your group of up to 60 and 90 for sit-down functions or 200 guests for cocktail and hors d’ oeuvres. Atmosphere/Decor: An Independent fine dining downtown establishment, 1515 offers a relaxing yet sophisticated environment in which to enjoy some of the city’s most distinctive flavors. Our newly remodeled dining rooms are located on the second floor for a truly elevated, causally elegant dining experience.